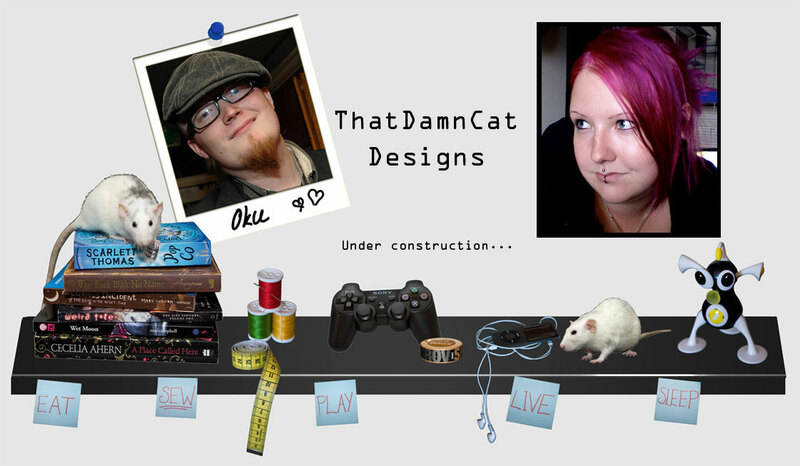 ThatDamnCat designs: All piled up! But that's not the point of this post. 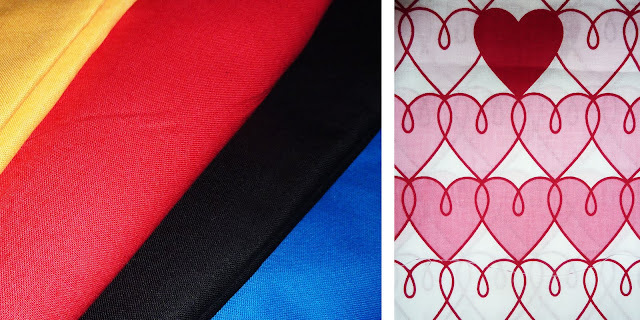 This post is about all the fabrics I got and how amazing my friends are, with their incredible patience and help. We scared away a worker who couldn't believe that I was, in fact, buying all the fabrics piled up on the table. We pissed off an old lady for stealing the last scraps and annoyed everyone else who wanted to use the scale telling the total price. I cut the fabrics, the amazing G ran around checking the names and putting back rolls and T put them on the scale and attached the prize tags. Like I said, they're awesome. They had a sale on basic coloured fabrics so I had to get that. The hearts' one will be turned into bed sheets for T's little one. 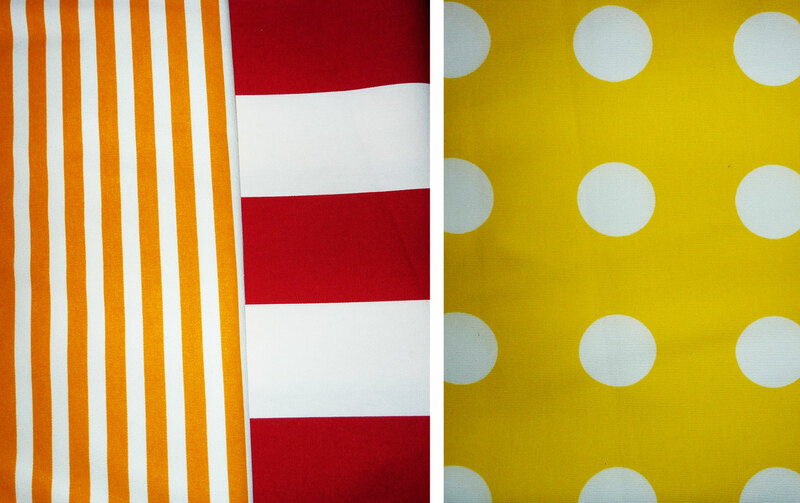 Stripes and dots, always a good thing to have around the house "just in case". I couldn't resist the one with the houses, and the one to the right's very difficult to get a good pic of, but it's a skylight buildings design, all very comic-book and impossible to turn down. 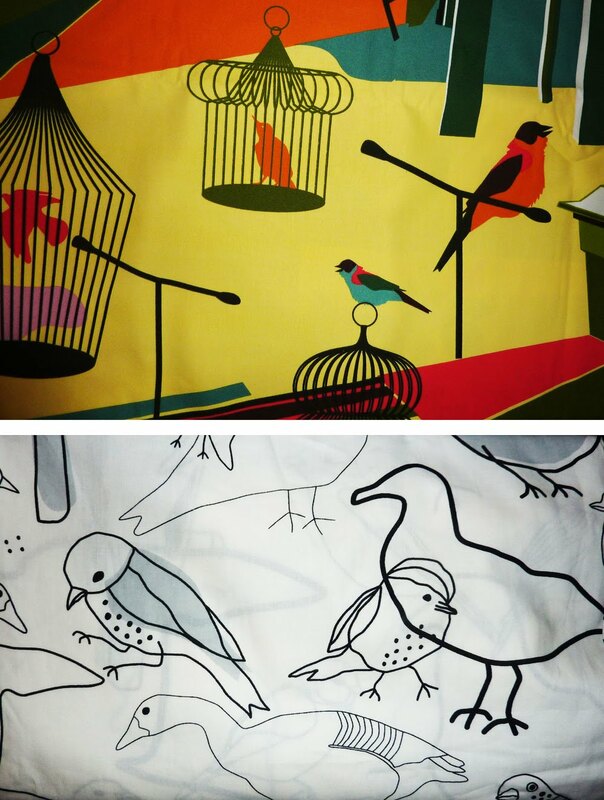 For some reason I've had this thing for bird-fabrics. And birdcages, retro-style is just... awesome. The two pics above are all images from the same fabric (The scrap an old lady tried stealing from me) and the images.. I mean, come on, how could I turn this down? That was about it, I think. I'm good for a while, or at least that's what I let Mr. Kilt believe as he sighs and shakes his head, asking where we will find room to put all these amazing fabrics. He's such a sweetie. I always find room, it's just a matter of will. Since my labels have arrived as well, I should have some great sewing days ahead of me now. All I need is to get rid of this silly fever. Wow! So many amazing fabrics - I love the turtle and the hare image. 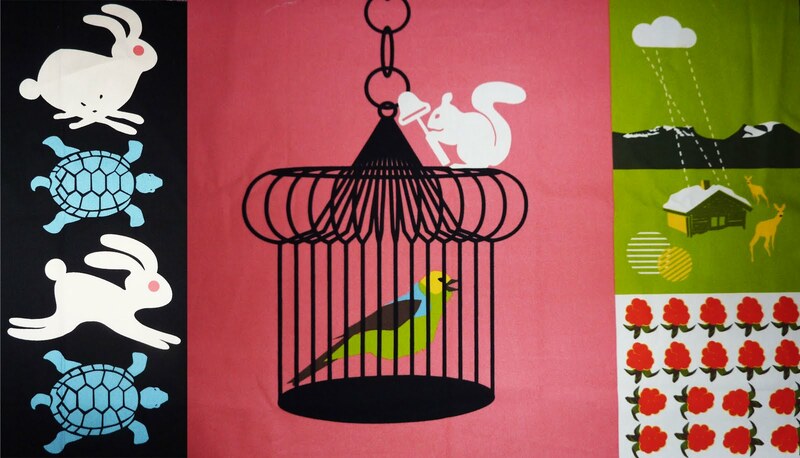 Also the birds on the birdcages (the coloured one) is just so awesome. jaa, visst va det lite coolt!